Incarceron is a futuristic prison that was designed to be a Paradise. Um….epic fail. From the book cover, “Incarceron is a prison unlike any other: Its inmates live not only in cells, but also in metal forests, dilapidated cities, and unbounded wilderness.” In other words, as I wrote for my first Goodreads update, “Incarceron is crazy!” The prison is sealed to the outside world (“Outside”) and only one man has ever been rumored to escape. Enter Finn, a prisoner who believes he came from Outside and longs to get back. Finn comes upon a Key that allows him to communicate with a girl from Outside named Claudia. But let me tell you about Outside! The Powers That Be decided that Time is not a good thing, so they chose to freeze it and live as if they were in the 17th century. In this environment we find Claudia, daughter of the Warden of Incarceron. Claudia is all set to marry into the royal family and live happily ever after…except she’s not happy at all. She finds a Key in her father’s office and starts communicating with Finn to help him escape. Incarceron was kind of hard at the beginning. The reader has to become familiar with two worlds very different from each other and from anything known, shared from the two different points of view of Finn and Claudia. The back-and-forth, along with the layers of details added slowly, make it confusing and a little disjointed at the beginning. The book hits it stride around the middle. By this point, I was fully engaged in the story. Finn and his friends are actively trying to escape, and Claudia is learning about secret events of the past and how they are impacting her future. She is also trying to help Finn escape. I was never able to get a full read on some of the characters. I felt at the end that I understood Claudia, her tutor Jared, and Finn, but I don’t know what to make of Finn’s traveling companions Attia and Keiro. I hope we learn more about them in the sequel, Sapphique. The idea of being trapped is the central theme in this novel and its strongest point. 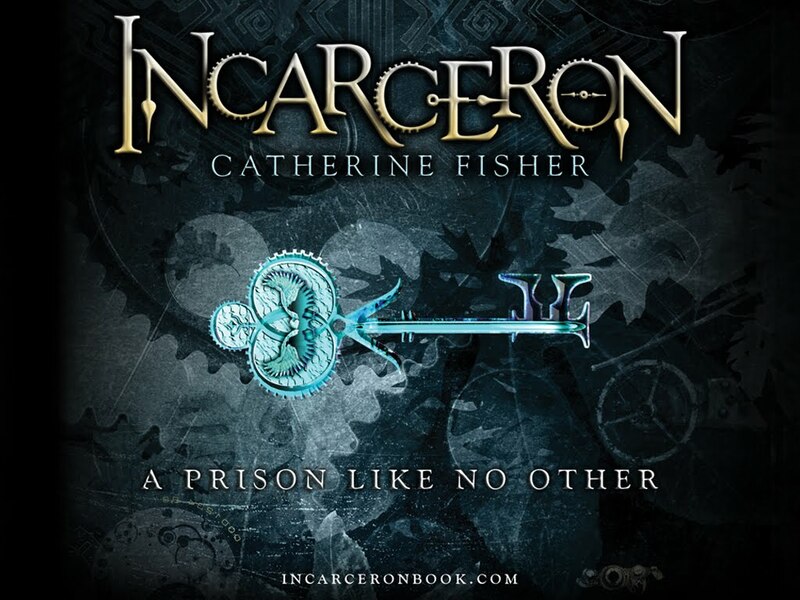 Fisher beautifully demonstrates how ALL her characters feel trapped — Finn and Claudia, who are in prison and Outside, but also the Warden and even Incarceron itself. I love that this theme was present throughout in a way that said, “You may think the grass is greener on the other side, but he who you envy feels trapped just the way that you do.” I have a feeling that Sapphique, the sequel, will turn this theme on its head and explore the concept of freedom. Just a hunch, but I can’t wait to read it. Incarceron will reward you if you keep reading, and by the climax I didn’t want to put it down. A couple of the characters very pleasantly surprised me at the end. Sapphique, the sequel, was released in the U.S. this past December. Incarceron was published in mid 2007 in the United Kingdom, and early 2010 in the United States, but it is gaining recent popularity with the news that Taylor Lautner is set to play Finn in a movie adaption set for release in 2013. You can purchase Incarceron at our TYF store, click here! Next ArticleTMI casting news: Alex Pettyfer as Jace? & We see what you're trying to do there, Screen Gems!